RoCoCo were Artists-In-Residence at SJMQT from October through December 2017. 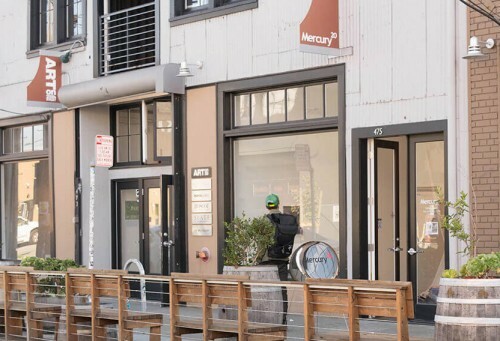 Mercury 20 Gallery is an artist-run gallery founded as a venue for contributing members to exhibit, sell, and promote each others art in the Oakland/East Bay community. The gallery hosts openings, art and community events, and artist talks. The gallery was founded with the mission to host and support exhibitions of the highest quality by member artists. Members help each other make sales and increase exposure to potential collectors, curators and critics. They actively participate in the Oakland Uptown community by attending Art Murmur, monthly gallery meetings, events, artist talks, and receptions in an open exchange of ideas. RoCoCo exhibited their first work at Mercury 20 in February 2015.